The development of Georgia was unlike all the other British colonies. First of all, it was the last to be created. 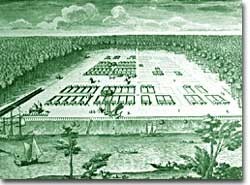 Georgia was founded in 1733, 126 years after Jamestown was successfully planted. England and Europe as a whole were in the midst of an intellectual revolution known as the Enlightenment. Why did utopia fail in Georgia?